I LOVE watermelon ! 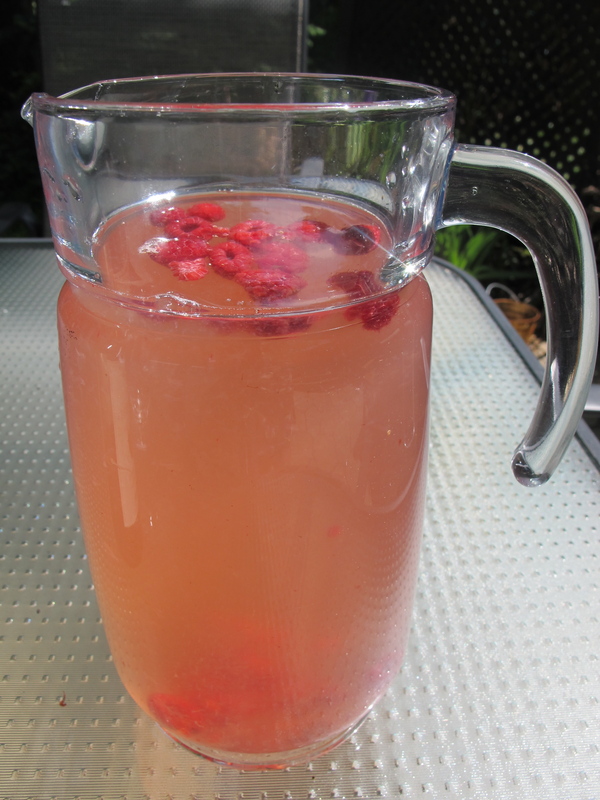 It has to be one of my favorite summer fruits, nothing quenches a thirst and beats the summer heat quite like it! 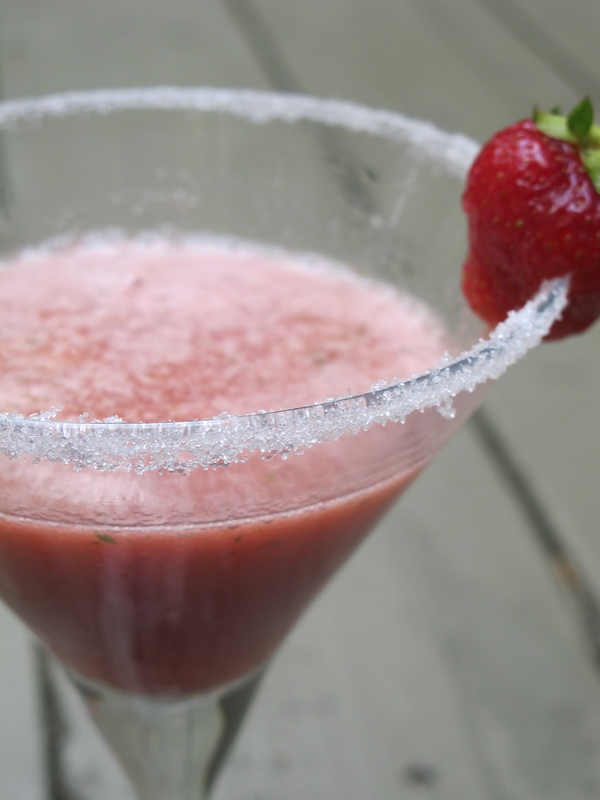 So what better drink to have while you’re enjoying a great day by the pool than Watermelon Martinis! Mix together the sugar and salt. 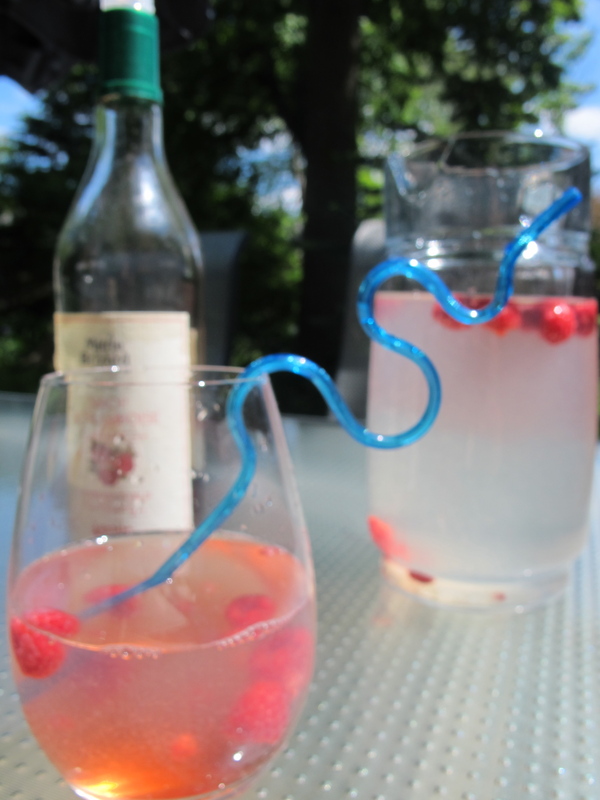 With a piece of watermelon, wet the rim of the chilled Martini glasses. Dip the rims into the sugar and salt mixture. Place the watermelon juice, vodka, melon liqueur and syrup into a cocktail shaker. Top with ice and shake well. Here’s a tip: you’ll know that the drink is well shaken when condensation begins to form outside of the shaker. Pour the contents through the strainer and into the Martini glasses. Garnish with a wedge of watermelon. Et voilà! Note: This is a Martini, if the drink is too strong for you just add more cranberry and watermelon juice! *Obvioulsy you would want your watermelon garnish to be in a better shape than the one that I had…the poor thing!